Does America, as George W. Bush has proclaimed, have a special mission, derived from God, to bring liberty and democracy to the world? How much influence does the Christian right have over U.S. foreign policy? And how should America deal with violent Islamist extremists? 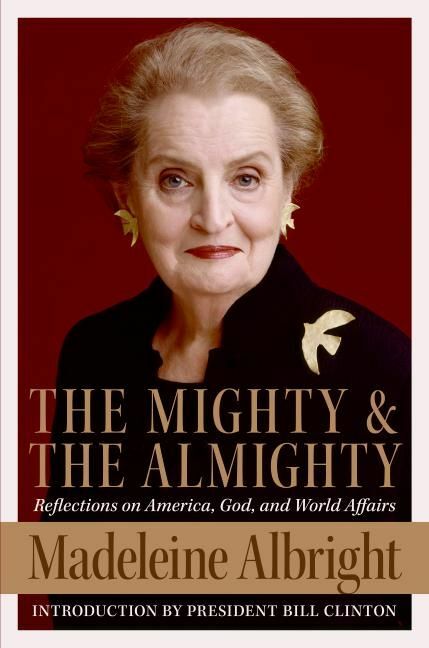 Madeleine Albright, the former secretary of state and bestselling author of Madam Secretary, offers a thoughtful and often surprising look at the role of religion in shaping America’s approach to the world. Drawing upon her experiences while in office and her own deepest beliefs about morality, the United States, and the present state of world affairs, a woman noted for plain speaking offers her thoughts about the most controversial topics of our time. In The Mighty and the Almighty, Madeleine Albright examines the profound impact of religion on America’s view of itself, the effect on U.S. policy of the rise of the Christian right, the Bush administration’s successes and failures in responding to 9/11, the challenges posed by the war in Iraq, and the importance of understanding Islam. She offers a balanced but, when necessary, devastating analysis of U.S. strategy and condemns those of all faiths who exploit religious fervor to create divisions or enhance their own power. 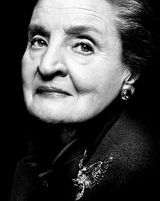 In this illuminating account, Albright argues that, to be effective, U.S. policy-makers must understand the power and place of religion in motivating others and in coloring how American actions are perceived. Defying the conventional wisdom, she suggests not only that religion and politics are inseparable, but that their partnership, when properly harnessed, can be a force for justice and peace.